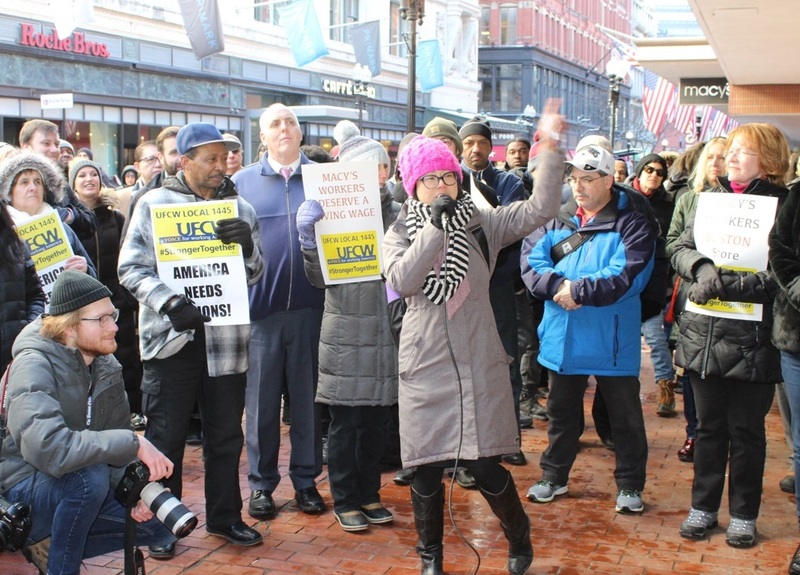 On Feb. 28, members of UFCW Local 1445 staged a rally at the Macy’s store in Downtown Crossing in Boston to show support for Macy’s members in Massachusetts and Rhode Island who are trying to secure a better contract with the company. 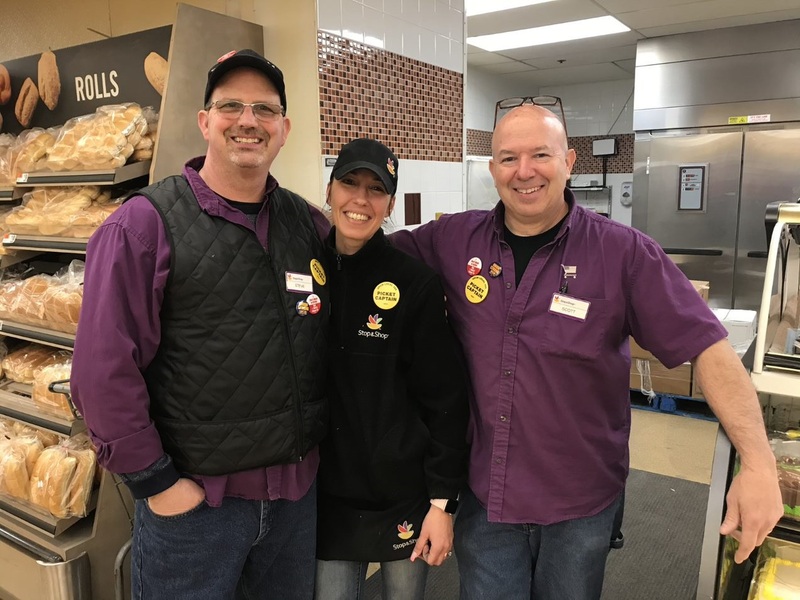 Members of UFCW Local 400 and the RWDSU, as well as a large and enthusiastic group of friends, supporters, customers and allies, also attended the rally. Together, they called on Macy’s to provide these hard-working women and men with the wages and benefits they have earned and deserve. 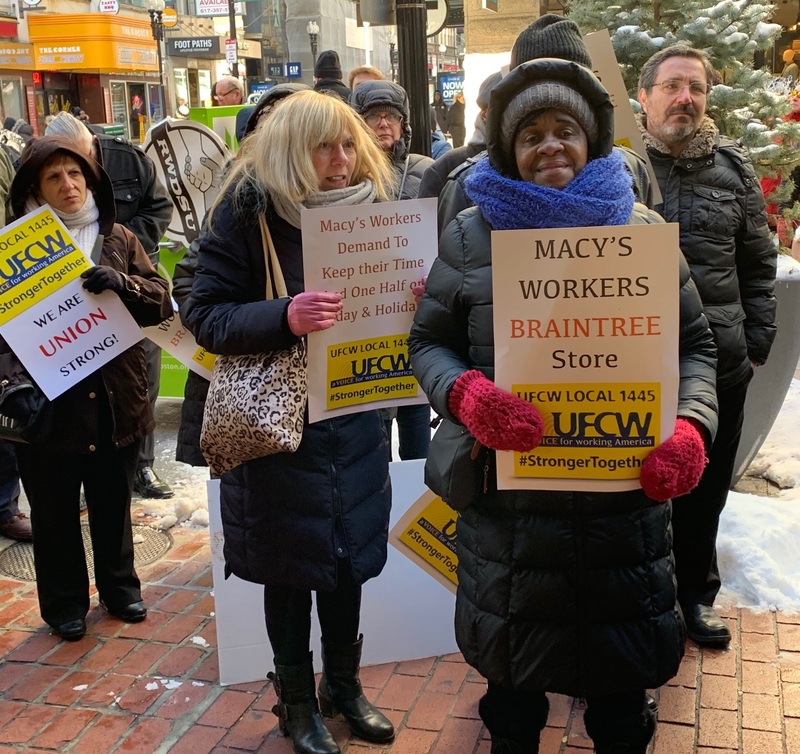 The rally also highlighted the hard work and commitment our Macy’s members in Boston, Braintree, Natick, Peabody and Saugus, Massachusetts, and Warwick, Rhode Island, have invested in this company. This rally is part of a coordinated effort by UFCW Locals 5, 21, 367, 400 and 1445 and RWDSU Locals 1-S and 3 to build bargaining power for 10,000 members of our union family who work at Macy’s and Bloomingdale’s leading up to negotiations with the company in 2019 and during the next two years. During the Macy’s rally in Boston, locals that represent Macy’s workers in other parts of the country handbilled the union Macy’s stores in their areas or posted supportive messages on social media in a show of solidarity. UFCW Locals 5, 367 and 1445 are engaged in bargaining with Macy’s this year. RWDSU Local 1-S will negotiate a new contract with Macy’s in 2020, and RWDSU Local 3 and UFCW Locals 21 and 400 will negotiate new contracts in 2021.